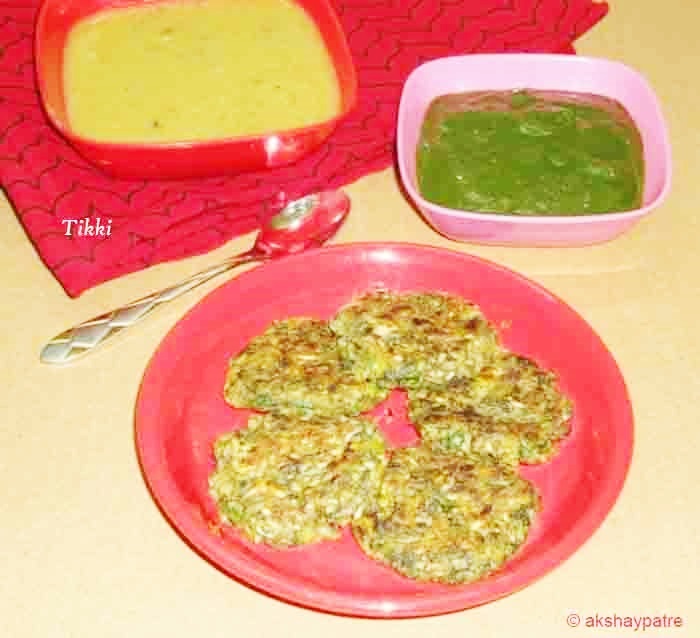 Spinach green peas and plantain cutlet recipe - A healthy and delicious Indian vegetarian snack made with spinach, raw banana and green peas. This is one of the simplest cutlets which I have prepared several times. This cutlet is usually prepared by using potatoes along with spinach, but keeping health in mind, I have avoided potatoes as it is high in carbohydrates and calories. To make it more healthy these cutlets have been shallow fried using minimal oil. Raw banana based cutlet is a healthy, tasty and guilt free snack. It can be served as an appetizer or evening snack with a chutney of your choice. It goes really well with mint coriander chutney and even tomato ketchup. If you are looking for some easy shallow fried snacks then do check out kothimbir vadi, hara bhara kabab and aloo moong dal nuggets. Wash and chop the spinach finely. Keep it aside. Wash and slit the raw bananas from one side. Boil them in sufficient water till they become soft. Allow them to cool. Peel the skin and grate in a large pan. Keep it aside. Put the green peas in a mixer jar and blend it to make a slightly coarse paste. Add the chopped spinach, coarse green peas and other above mentioned ingredients. Mix till all the ingredients combine well.Take a small portion of the above prepared mixture and make a round ball and then flatten it to make a cutlet. Repeat the same procedure with all other mixture. Shallow fry the cutlet until golden brown from both sides. Serve spinach peas and plantain cutlet hot with choice of your chutney. In case you use bananas as an alternative to potatoes, do not use ripened bananas. Use of oats is totally optional. If the mixture doesn't give a good binding, add a tbsp of besan / gram flour to it. I have used only green chillies, however you can use a tsp of red chilli powder to make it more spicy. Amchur powder can be used as an alternative to lemon juice. The mixture for cutlet can be prepared and stored in refrigerator well in advance, So that cutlets can be prepared as and when you need. 1. Wash and chop the spinach finely. Put the green peas in a mixer jar and blend it to a coarse paste. 2. Wash and slit the raw bananas from one side. Boil in sufficient water till they become soft. Peel the boiled raw bananas and grate them in a large pan. 3. Add the spinach, green peas paste, coriander leaves, oats, green chillies, lemon juice, garam masala and salt. Mix well till all the ingredients combine well. 4. Heat a non-stick pan and apply some oil on it. Place medium sized cutlet on the pan and shallow fry until golden brown from both sides. Pour more oil if required. 5. Serve the cutlet hot with choice of your chutney. It goes well with mint and coriander leaves chutney.